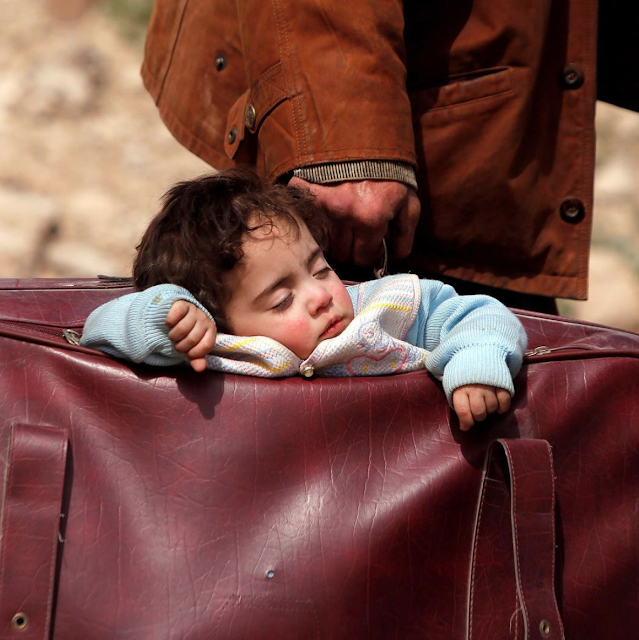 A child sleeps in a bag in the village of Beit Sawa, in the eastern Ghouta area outside the Syrian capital of Damascus, on March 15. Syrian state-run television says nearly 10,000 civilians have left the besieged, opposition-held eastern Ghouta region—by far the largest exodus so far, the Associated Press reports. The mass exit comes as Syrians marked seven years since the uprising that sparked their country's vicious civil war—and hours after government forces bombarded the town with airstrikes and rocket fire.